OH NO, THEY DIDN’T. 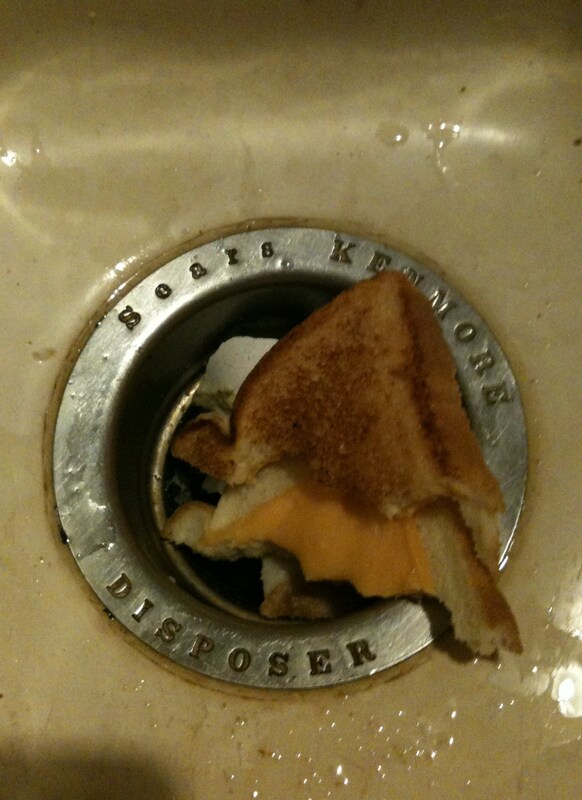 Thanks to my sophisticated network of grilled cheese spotters, I got the hot tip on this little gem the day before this. (I don’t know what’s more unsettling here – the absolute certainty of total unpaletability, or this price point.) As luck would have it, I stumbled upon this super low-buck deal on my lunch break. I could not WAIT to hate it, so I came back later and picked one up for a pre-dinner snack. (Please note my arrival at dinner time; which I think is a testament to my sportsmanship.) I took it with me to my mom’s. Had I not already had it on good authority that it was both “terrible,” and stomach-ache inducing, this presentation would have conveyed both those things pretty effectively. 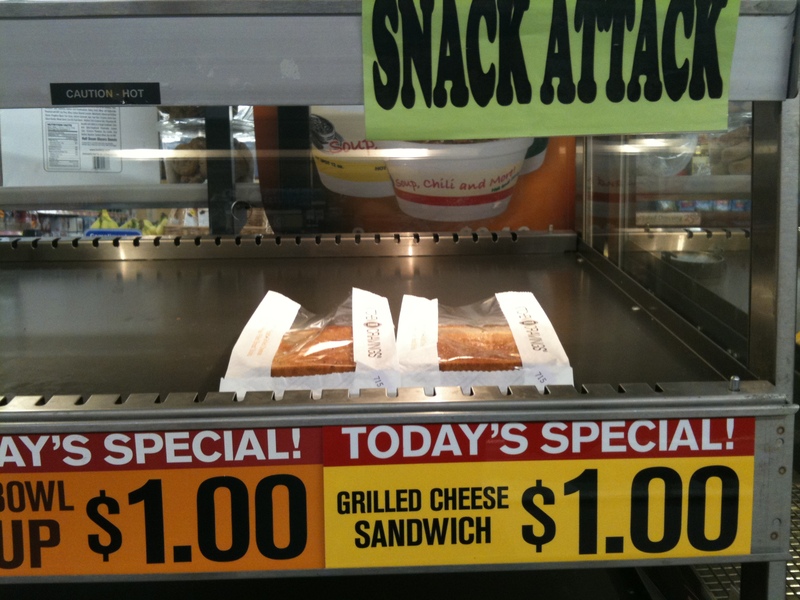 Snack attack, indeed. You have to hand it to them, though. This does look pretty convincing. Well, all it took was one bite, and I knew I’d found something pretty special. Grilled cheese #27, and the spectrum was finally complete. 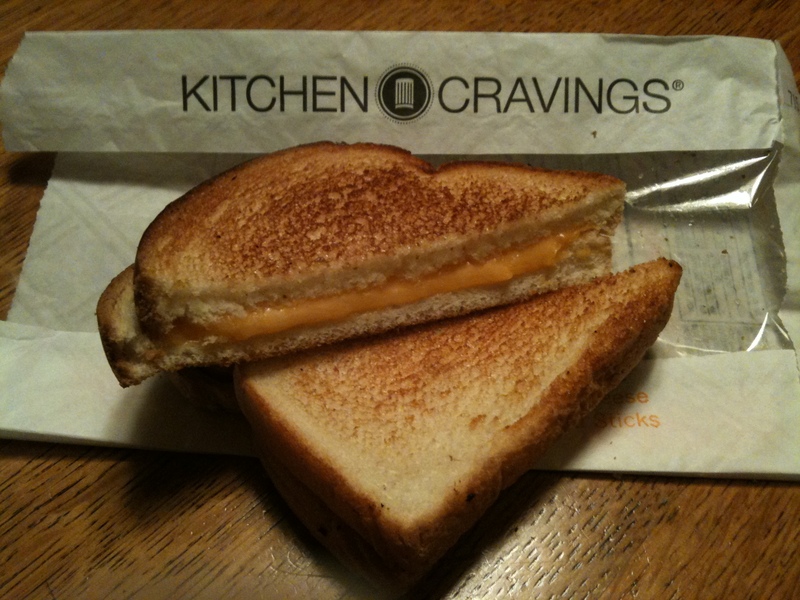 This bland, luke-warm, sponge of mystery was my very first 1/10…and marks the successful establishment of the full, grilled cheese spectrum. The “Roy G Biv” of sandwiches, as it were. Let the quest continue. I have made this particular error in judgement a couple of times, already. 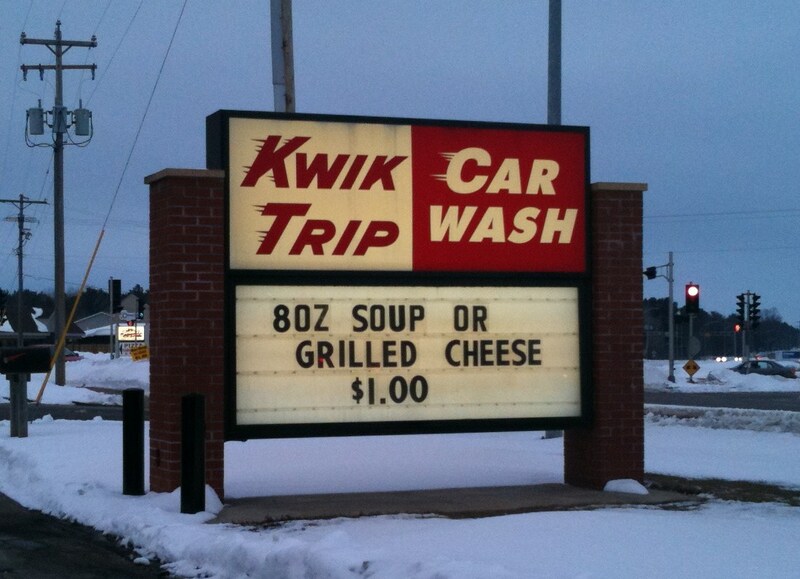 I should know better, but I see “grilled cheese” when I’m hungry, and my reasoning skills cease to remind me. It is the most bland GC sandwich I have ever had the misfortune to eat. If you are ever in the Milwaukee area, I know of a few good places you may not have heard of.